FROM remakes to 3D avatars, Sholay continues to influence and entertain us. Actor Amjad Khan as the notorious villain, Gabbar Singh, immortalised the character with dialogues like Tera Kya Hoga Kaliye? Here is another tribute to the moviea��this time in a graphic format. The idea of releasing a graphic novel on the iconic villain titled Gabbar is the joint venture of Graphic India and Sholay Media Entertainment. a�?a�?I always had a passion for comics and graphic novels,a�?says Sascha Sippy, chairman of Mumbai-based Sholay Media Entertainment, a�?When I met Sharad Devarajan (co-founder and CEO of Graphic India) a few years ago, we decided to explore this unique medium of storytelling to revive Sholay as well as create a different perspective for Gabbar Singh.a�? To all the skeptics who questition Gabbara��s relevance,A� Devarajan says, a�?What Star Wars was to Hollywood, Sholay is to Bollywood. In that context Gabbar is our very own Darth Vader.a�? 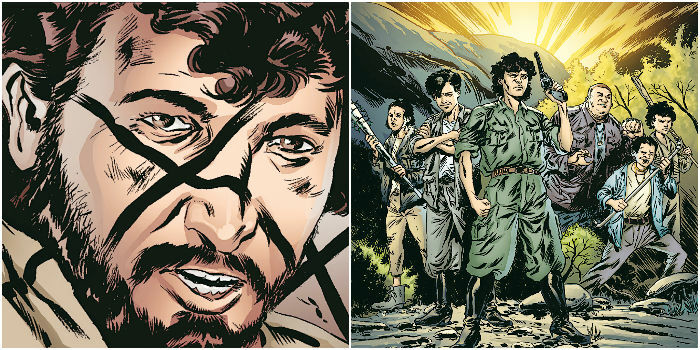 A definite addition to the Sholay shrine, Graphic India is also releasing Sholay: The Graphic Novel, an adaptation of the movie. If that does not cover everything on Sholay then their soon to be released series of short stories called Sholay Shorts will do it a�� based on some of the popular characters in the movie such as Thakur Baldev Singh, Soorma Bhopali and Sambha. Fans can also look forward to motion comic episodes in English and Hindi, exclusively created for mobile phones. There is more in store as Graphic India has plans to collaborate with some of the leading talents in Bollywood to create new graphic novels that will captivate readers. Devarajan feels that India has the potential to become one of the biggest creative exporters in the years ahead. So are you ready to wait and watch our next Stan Lee in the making?